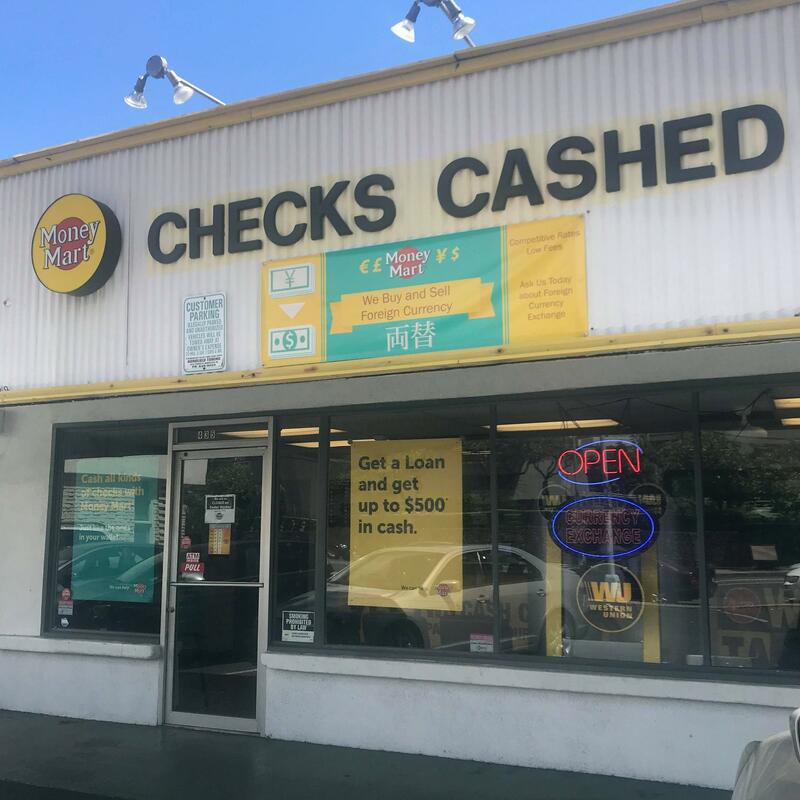 There are now more payday loan stores in Hawaiʻi than there are 7-11s. 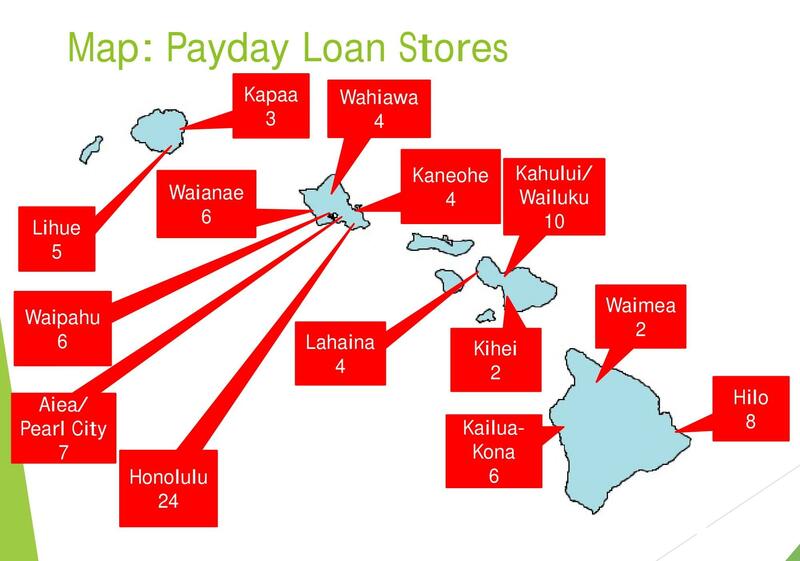 The state’s growing demand for payday loans is no surprise given the high cost of living in the islands. But with interest rates as high as 459 percent, lawmakers are demanding greater regulation. HPR’s Kuʻuwehi Hiraishi has this story. 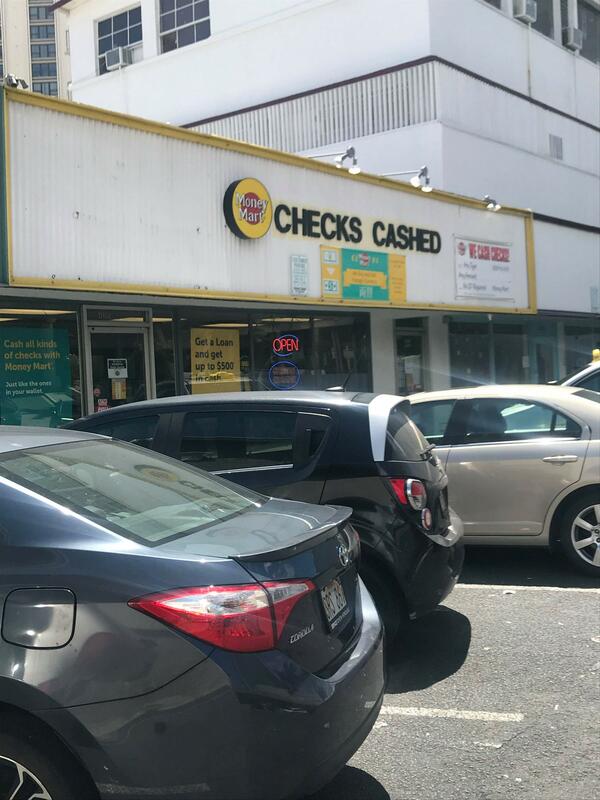 Walk into any one of the 91 payday loan stores across the island chain, and all you need is a couple of recent pay stubs, a bank statement, and a blank check, and you can walk out with as much as $500 cash. Welcome to the world of pay day loans. “It’s taking advantage of folks who don't have access to the mainstream financial system,” says Jeff Gilbreath. Gilbreath is the Executive Director of Hawaiian Community Assets and Hawaiʻi Community Lending. The non-profit provides financial services to underserved communities. For the past three years, his organization collected data on Hawaiʻi’s payday lending industry. Statewide map of payday loan stores. Produced by Hawai'i Community Lending. “Local mom and pop lender Richard Dan has been in the small loans business on Maui for 42 years. He says the interest isn't the problem. He charges $15 interest on a $100 loan. 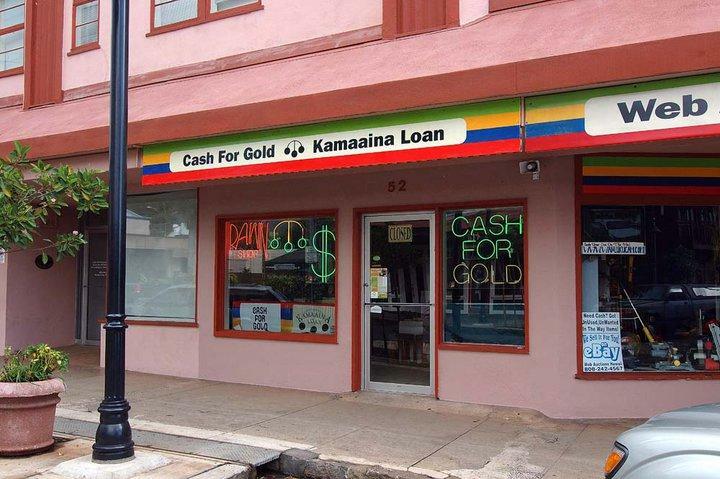 Local lender Richard Dan operates his Kama'aina Loans in Wailuku. He's been in the small loan business for 42 years. Dan has been a vocal opponent of the Legislature’s efforts to further regulate the industry. 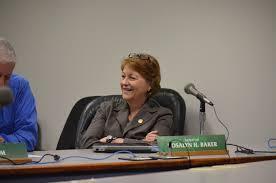 An effort led by fellow Maui-an, Senator Roz Baker. “The unregulated marketplace that we have comes fraught with no consumer protections, interest rates can be exorbitant, and a lot of our families find themselves trapped in a lot of debt and unable to pay other necessary living expenses,” says Sen. Baker. This session, Senator Baker introduced Senate Bill 3008, which among other things caps interest rates at 36 percent and authorizes the state Division of Financial Institutions to create a regulatory structure for the industry. “And it really provides some consumer protection so that it will help them, help the consumers access a loan that’s within their means and within their ability to pay and it does not subject them to usury,” says Sen. Baker. Current usury laws allow interest rates of 12 or 24 percent depending on the lender. 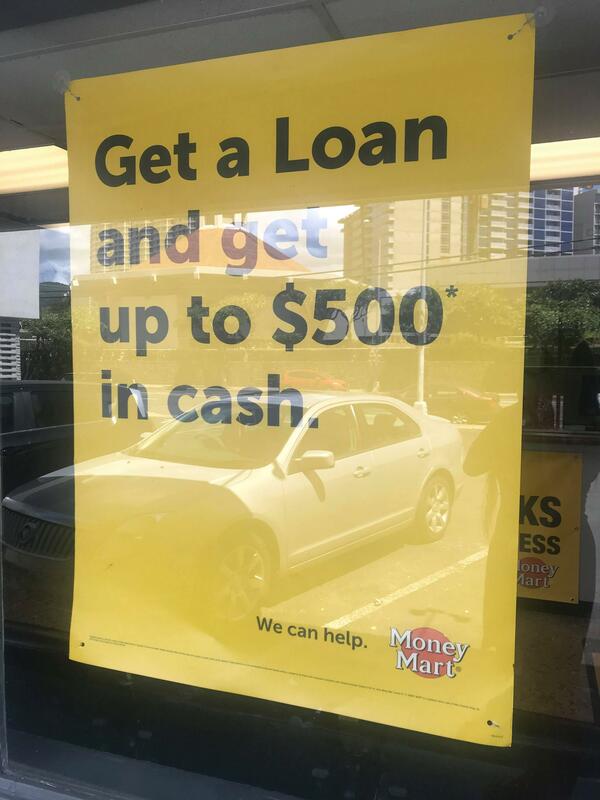 In 1999, the Legislature created a loophole that allowed higher interest rates for “deferred deposits.” Essentially legalizing payday lending in Hawaiʻi. Dan says the proposed regulation favors out-of-state and internet lenders at the expense of local storefront lenders. Sen. Baker's bill stalled after crossover in the House, as has been the case in the past. She was able to gut and replace House Bill 2471 and keep her efforts alive.